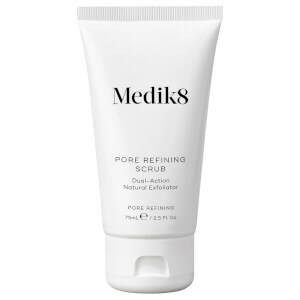 Keep skin looking healthy with Medik8 Balance Moisturiser and Glycolic Acid Activator, a lightweight moisturiser and resurfacing booster that work in synergy to leave skin feeling balanced and comfortable. Good bacteria is vital for healthy skin, it helps to regulate everything from hydration to sensitivity. Lifestyle choice and environment (such as harsh cleansing and pollution) can diminish this good bacteria, leading to dry skin, irritation and blemishes. 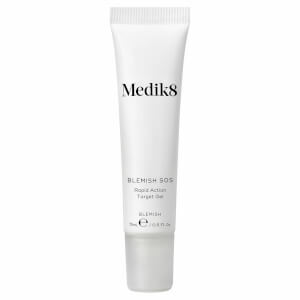 Medik8 Balance Moisturiser is a lightweight daily moisturiser formulated with a blend of high performance prebiotics and probiotics to help rebalance skin's microbiome for a healthy and radiant appearance. It combines Beta-Glucan and Niacinamide for hydrating, soothing benefits, and provides all-day oil control for a balanced, mattified visage. The Glycolic Acid Activator is an exfoliating formula that effectively sloughs away dead skin cells to smoothen the skin and maximise absorption of the moisturiser and subsequent skincare products. Free from artificial fragrance, parabens, palm oil, synthetic colours, phthalates and alcohol. After cleansing and applying serums or treatments in the morning and evening, apply a small amount of Balance Moisturiser and blend evenly across the face, neck and décolletage. 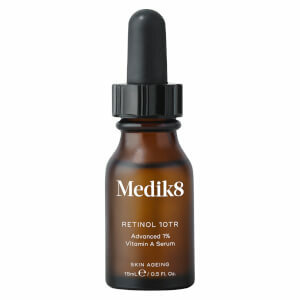 For boosted performance and exfoliation, optionally use Glycolic Acid Activator 2-3 times a week. After cleansing in the evening, apply 4-6 drops to the face, neck and décolletage. Once dry, apply Balance Moisturiser. Do not mix Glycolic Acid Activator and Balance Moisturiser directly. If using a serum, apply Glycolic Acid Activator before, and Balance Moisturiser after. Balance Moisturiser: Aqua (Water), Saccharide Isomerate, Glycerin, Niacinamide, Cetearyl Isononanoate, Cocoglycerides, Cyclopentasiloxane, alpha-Glucan Oligosaccharide, Nylon-12, Polyacrylamide, Capryloyl Glycine, Ethyl Linoleate, Phenoxyethanol, C13-14 Isoparaffin, Hexylene Glycol, Lauric Acid, Polymnia Sonchifolia Root Juice, Beta-Glucan, Potassium Sorbate, Citrus Aurantium Dulcis (Orange) Peel Oil, Sodium Benzoate, Sarcosine, Cinnamomum Zeylanicum Bark Extract, Laureth-7, Ethylhexylglycerin, Maltodextrin, Glyceryl Polyacrylate, Lactobacillus, Limonene, Linalool. Glycolic Acid Activator: Aqua (Water), Glycolic Acid, Sodium Hydroxide, 1,2-Hexanediol, Polysorbate 20, Sodium Hyaluronate, Butylene Glycol, Caprylhydroxamic Acid, Disodium EDTA.